If you would like to join our program this season, sign up or contact us to find out more information. With our spring - summer team tryouts now complete, and the rosters for the ten teams that we will carry now finalized, we are excited to announce that we will be able to have our NW All Stars players work with Chris Hyppa for five of our Friday Fundamentals skills sessions as we begin our spring schedule!!! Northwest All-Stars was created in the Fall of 2010 by Denn Pretz, previously the director of Riverside Youth Basketball (girls) and out-of-season basketball for the Auburn Riverside High School (in Auburn, Washington) girls from 2003-2010, serving both groups as program director, fundraising coordinator, tournament director and basketball skills, weights, agilities, conditioning and team coach. After seven years of helping to build and maintain one of the most successful girls' youth and high school programs in Washington state, Denn had decided to focus time and energy on this new venture in an effort to help boys' and girls' basketball reach even greater heights throughout the Pacific Northwest. Returning for the 2018-2019 school year, with the support of the respective high school boys' and girls' coaches, Riverside Youth Basketball is back to re-establish the success of years past, to work in conjunction with a new and improved era of NW All-Stars Youth Basketball for boys and girls. We are very excited to expand on what we previously had offered to the families of this Auburn, WA community and we will now invite players from around the area to participate in our program, similar to the model of a club team. We are set to establish the Foundation of the Nation with our youth players receiving the kind of guidance and togetherness, training, coaching and competition that they will need to help them excel on and off the court through their high school years and beyond. Also for the Spring and Summer of 2019, our NW All-Stars teams for high school aged boys and girls IN ADDITION TO a separate series of youth teams will be offered to provide local players opportunities to develop their skills in the offseason, play top teams from around the region and to compete in college coach viewing events in the spring and summer. Year round youth team tournaments co-hosted by NW All-Stars will be even better for 2018-2019. Youth and high school teams, club and same school, can look for Northwest All-Stars to continue to host top notch tournaments, now partnering up to co-host events throughout the Puget Sound region with organizations such as Seattle Youth Basketball, Mt. Si HS boys' basketball, Tahoma HS boys' and girls' high school and youth basketball, Auburn Riverside HS boys' and girls' high school and youth basketball, Chris Hansen from Elite Is Earned, Kelly Sopak and his Cal Stars, NW Stars, Alaska Stars and Seattle Stars organization, and other well known local organizations to be announced. We have evaluated and addressed several aspects of our events and have made some notable improvements that teams really need to come and see for themselves. Please click on our TOURNAMENTS page for dates, details and registration information. NCAA-certified viewing events set up for college coaches to attend and evaluate prospective players are another function of NW All-Stars. 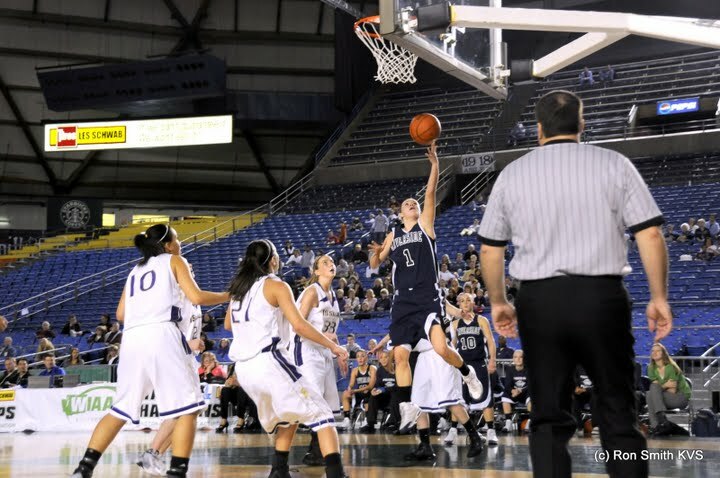 Girls' high school basketball players have benefited the last few years from the events co-hosted by NW All-Stars and we hope to grow the size and success of our events to provide opportunities to be seen to even more high school players than ever before. 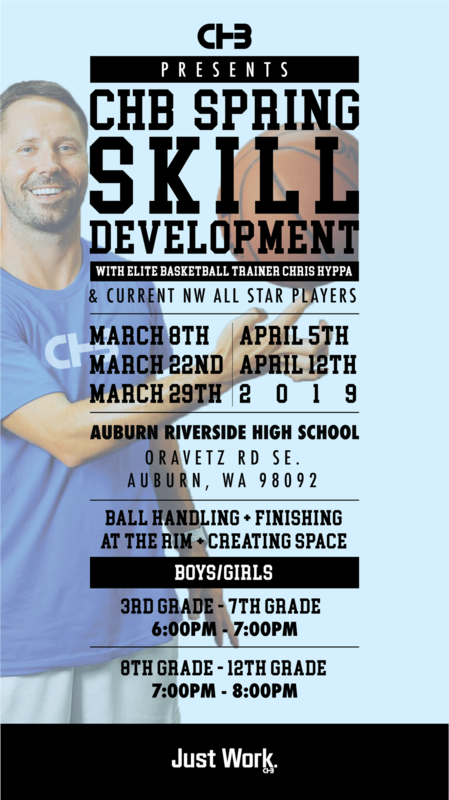 Northwest All-Stars will also work with a few experienced and well known trainers, such as Chris Hyppa, to offer boys and girls the opportunity to train in individual or small group sessions to improve their basketball skills and develop their potential into tangible results. Contact Denn Pretz at 206-947-6644 or dennpretz@comcast.net for more info on training opportunities.